Lately, I’ve been so busy that I’ve had very little time to spend in the kitchen. 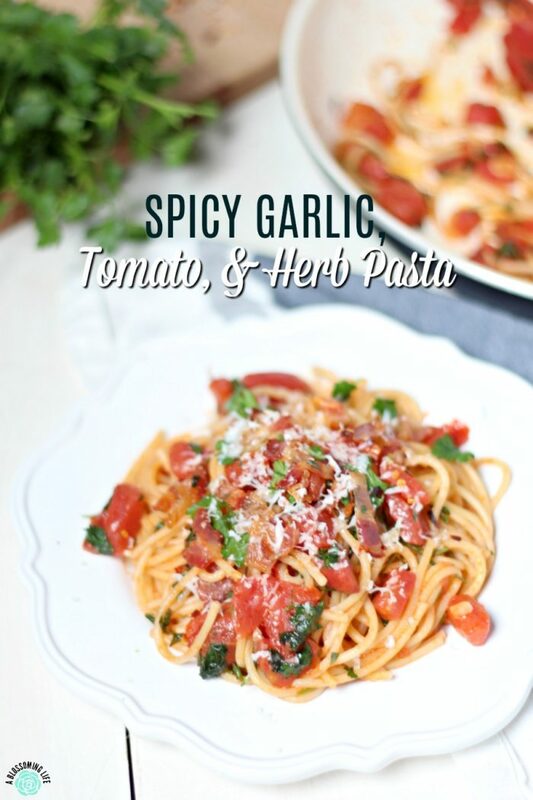 This Spicy Garlic Tomato and Herb Pasta is a fast, easy, and healthy meal that is perfect for weeknights when you have little time. It comes together in 10 minutes or less. Fun, little-known fact about me… In grad school, I worked as a waitress at an Italian restaurant. They had some pretty darn good food and the only place in southern Illinois you could find real, authentic, Chicago-style Italian beef… AKA my love language (that and ice cream). One of my favorite pasta dishes was this spicy pasta with fresh red sauce and herbs. I would order it just about every time I worked and split it with my coworker. I’ll have to admit, I was not the best waitress. I’ve gotten the people skill thing down, but remembering things is not my forte. Especially back then, when I was working two jobs, going to grad school, blogging, and “working” on my thesis. So this pasta I had many years ago (not sure how time has flown by so fast) was the inspiration for this recipe. That, and I had some random ingredients and very little time to make dinner one evening and created this delicious recipe. 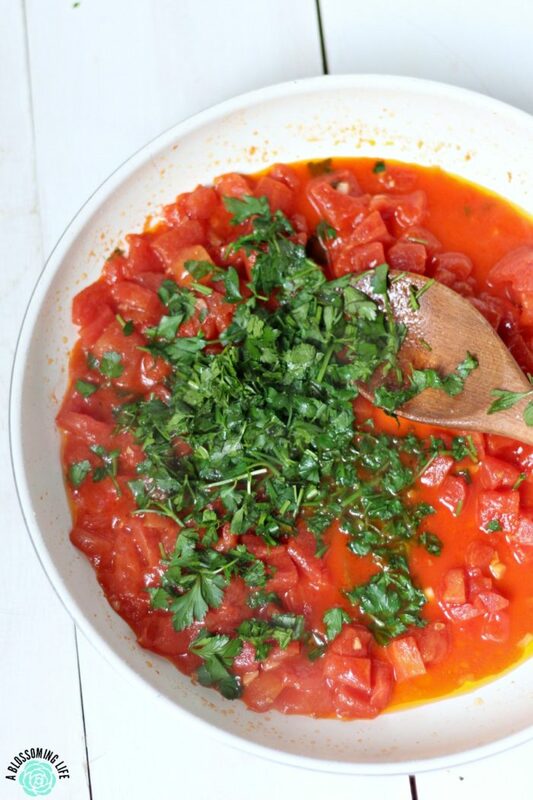 If you have a few kitchen staples and no time or energy to really cook, this recipe is for you. Because, folks, that’s usually how I feel and this recipe comes from the heart. The very tired heart of a momma with a baby and a toddler, who runs a business from home and tries to somehow get the laundry done. Which, FYI, doesn’t happen. Laundry is that one chore I can’t get myself to remember to do. Anyone else? Anyway, enough about my dirty laundry. 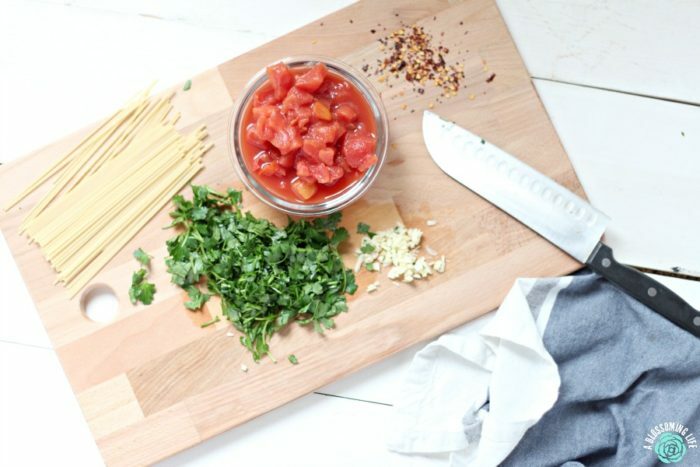 To make this delicious pasta, all you need is… pasta, oil, can of diced tomatoes, garlic, salt, pepper, red pepper flakes, a handful of fresh herbs, and if you want to go all crazy, add some bacon and spinach. But that is totally optional. If bacon is optional in your book. Bacon is never optional to me. 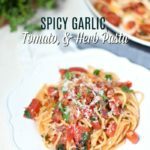 This Spicy Garlic Tomato And Herb Pasta is a fast, easy, and healthy meal that is perfect for weeknights when you have little time. It comes together in 10 minutes or less. 1 pinch red pepper flakes the more you add the spicer it is. 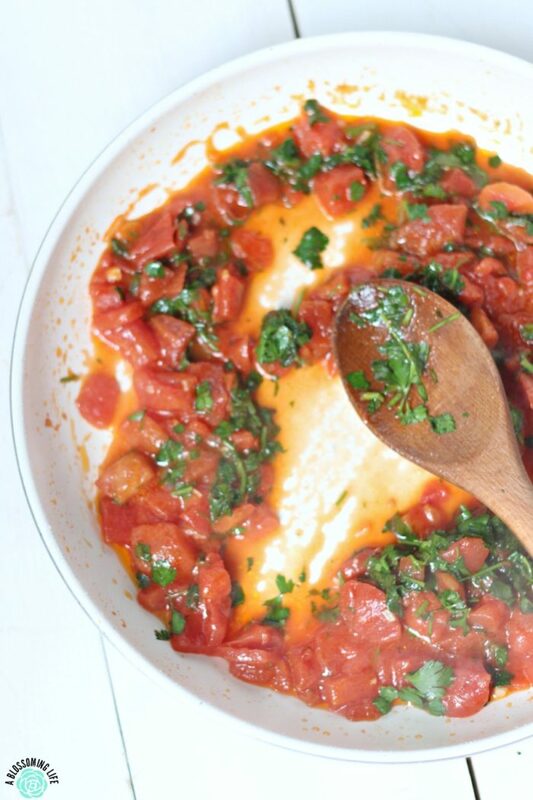 In a large skillet over medium heat add in tomatoes, garlic, red pepper flakes, and oil. Cook until simmering. Add salt and pepper to taste, and fresh herbs. Toss in cooked spaghetti and top with bacon and spinach if desired. Your recipes look amazing. Thank you for sharing! Hi Amy! 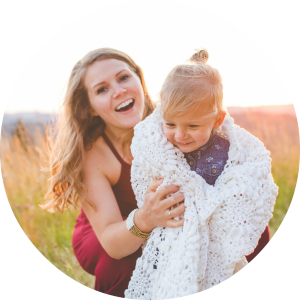 Dropping by to say thank you. Made this recipe last night and I was a big hit among my family. They loved it. Looking forward to more of your posts. Hey Sheila! Yay, that makes my heart happy! Glad your family loved it.